German municipalities and their water management companies or organisations are facing major challenges: They have to react to substantial ecological, economic and social changes caused by climate change, rising energy prices or declining numbers of citizen. At the same time, new integrated systems' solutions are available that have the potential to adapt urban water management to changing conditions. These "intelligent" and often semi- or decentralised solutions promise a more flexible and more economical water infrastructure, whether concerning the use of heat from wastewater, the reuse of wastewater or the contained nutrients or the conversion of wastewater networks. However, these solutions have not yet become widely accepted because for the municipalities and stakeholders of the urban water management there are still too many open questions. The new technical solutions will likewise change urban infrastructure and building equipment. How can construction projects with innovative elements in buildings and technical infrastructure be coordinated between planners, operators and other relevant stakeholders? What does the process mean for operators and municipalities? Who has to bear the costs and who will benefit from these projects? How large is their acceptance in society? What scope is provided by the existing legal framework? And how should be decided between different strategic solutions? 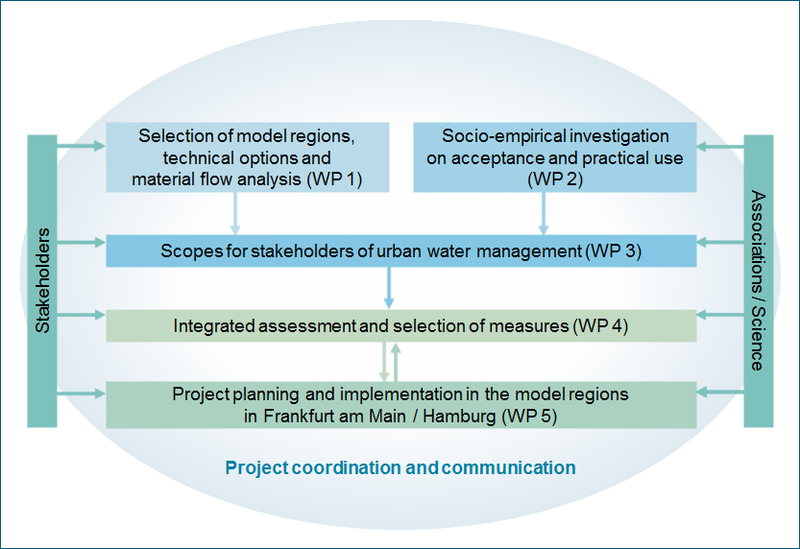 These questions are discussed in the project "netWORKS 3: Intelligent integrated water management solutions in Frankfurt am Main and Hamburg". the ongoing operation of very old sewer networks, possibly for modified use e.g. as a wastewater collector or to discharge separately collected wastewater streams. netWORKS 3 also investigates the legal and entrepreneurial scope of municipalities and companies. Another core area is to investigate the user acceptance of innovative integrated solutions . 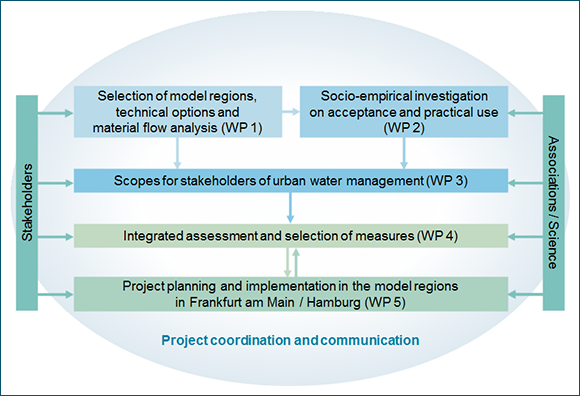 The project is funded by the German Federal Ministry of Education and Research (the BMBF) within the funding programme "Intelligent and multifunctional infrastructure systems for a sustainable water supply and sewage disposal (INIS)" in the funding priority "Sustainable Water Management (NaWaM)" as a part of the BMBF programme "Research for Sustainable Development (the FONA)". netWORKS 3 continues working on and implementing the results of the previous research projects (netWORKS 1 and 2) of the research collaboration.